Frederick P. Cerise, MD serves as President and Chief Executive Officer of Parkland Health & Hospital System. Dr. Cerise comes to Parkland with years of experience in a variety of roles as a health care administrator, medical school faculty member and practicing physician. Most recently, he served as Associate Dean for Clinical Affairs at the Louisiana State University Health Sciences Center, New Orleans School of Medicine. From 2007 to 2012 Dr. Cerise was Vice President for Health Affairs and Medical Education of the Louisiana State University System. Prior to that, he was Secretary of the Louisiana Department of Health and Hospitals from 2004 to 2007. Dr. Cerise began his career at the Earl K. Long Medical Center, Baton Rouge, Louisiana. Between 1991 and 2004, he advanced from the role of Assistant Program Director and Clinical Faculty member to Medical Director and ultimately served as Chief Executive Officer. Dr. Cerise holds a Bachelor of Science degree from University of Notre Dame, Indiana and earned his Medical Degree at Louisiana State University, New Orleans. He completed a residency in Internal Medicine at the University of Alabama, Birmingham. In 2001, he earned a Master of Public Health degree from Harvard University School of Public Health, Boston, Massachusetts. He is a member of the Kaiser Commission on Medicaid and the Uninsured and has served on the Louisiana Federal Health Care Reform Steering Committee and the Louisiana Health Care Quality Forum, among others. Jacob Cintron serves as President and Chief Executive Officer of the University Medical Center of El Paso. Mr. Cintron has more than 35 years of healthcare management experience. He began his healthcare career at the Thomason Hospital, now named University Medical Center of El Paso – which he leads today. Mr. Cintron comes to University Medical Center of El Paso from Del Sol Medical Center in El Paso, where he served as its Chief Executive Officer from 2007 to 2016, prior to his July 2016 arrival at the University Medical Center of El Paso. Other leadership positions he held at Del Sol Medical Center include Chief Operating Officer, Associate Administrator II, and Vice President of Support Services. 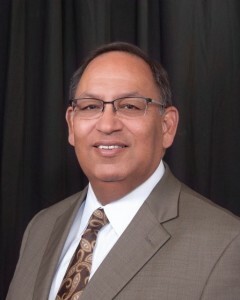 He also served in senior leadership positions (Chief Operating Officer) at Vanguard Healthcare in Chicago; for IASIS Healthcare at Southwest General Hospital in San Antonio; and for UHS’ Southwest Healthcare System in California before returning to El Paso at HCA’s 336 bed Del Sol Medical Center. Mr. Cintron began his career in healthcare, still in his teen years, and progressed through myriad levels of complexity, management and leadership to his full-circle return as President & CEO to the hospital he started at more than 35 years prior. Mr. Cintron serves on the board of the Greater El Paso Chamber of Commerce; is the Current Chair of Emergence Health Network and Paso Del Norte Health Information Exchange; and serves on various other El Paso committees and boards. Mr. Cintron holds a Bachelor of Science – Industrial Engineering, a Master of Business Administration, and a Master of Accountancy, all from the University of Texas at El Paso. Mr. Cintron oversees the extremely important affiliations and partnerships of the University Medical Center of El Paso with Texas Tech University. These affiliations ensure the campus at University Medical Center of El Paso continues to be the center of medical teaching, providing an exceptional learning environment and experience for medical students, residents, nurses, and other healthcare professionals. These affiliations with Texas Tech include the Paul L. Foster School of Medicine, the Gayle Greve Hunt School of Nursing, and the Graduate School of Biomedical Sciences. Other affiliations include the University of Texas at El Paso Nursing Programs, El Paso Community College Nursing Programs, Socorro/Bel Air/Silva Magnet High Schools, the Dona Ana Community College, New Mexico State University, Texas Women’s University, Western New Mexico University, Western Tech, National Institute First Assist, and New Mexico State University. Together, these programs are responsible for training more than a thousand students each year at the Campus of University Medical Center of El Paso. 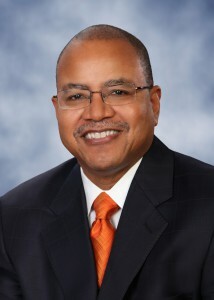 Dr. Kirk A. Calhoun has served as President and CEO of UT Health Northeast (The University of Texas Health Science Center at Tyler) since November 2002. He is very active at the local, regional, state, and national levels in the field of healthcare. Dr. Calhoun currently serves on the Teaching Hospitals of Texas Board of Trustees and has been reappointed by Texas Governor Rick Perry as a member of the State Health Services Council. He also served as Past-Chair of the National Association of Public Hospitals Executive Committee, is on the Board of the AAMC Council of Teaching Hospitals, and is on the United States Health and Human Services Council on Graduate Medical Education. Dr. Calhoun has served on the Texas Hospital Association Board of Trustees and the statewide Task Force of Medical Indigent Care. A native of Chicago, Illinois, he earned a medical degree from the University of Kansas School of Medicine. He did an internship and residency in internal medicine at Northwestern University and Medical Center in Evanston, Illinois and completed a fellowship in clinical nephrology, hypertension, and metabolism at the University of Chicago. Prior to coming to Tyler, Texas, Dr. Calhoun served as senior vice president and medical director of Parkland Memorial Hospital in Dallas and as corporate medical director of UTMB HealthCare Systems in Galveston, Texas. Russell Meyers became President of Midland Health in November 2002. Before coming to Midland, he held several positions with HCA, Inc., including chief executive roles at three Houston-area hospitals. Prior to HCA, he began his healthcare leadership career with the Methodist Healthcare System in Houston. He is a Fellow of the American College of Healthcare Executives and active in a variety of professional and community organizations. 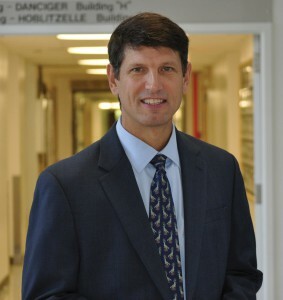 Mr. Meyers completed a Master of Science degree in Administration of Health Services at the University of Houston – Clear Lake in 1986 and was named a Distinguished Alumnus of the University in 1998. He graduated from Rice University in 1981 with a Bachelor of Arts in Economics and Managerial Studies. George B. Hernández, Jr., JD, is the President/Chief Executive Officer of the Bexar County Hospital District, d/b/a University Health System. The Health System operates 19 primary, specialty and preventive healthcare centers throughout Bexar County, as well as University Hospital, a 716-bed hospital which serves as South Texas’ only civilian Level I trauma center and first and only Level II pediatric trauma and burn center. University Health System also operates a non-profit HMO, Community First Health Plans, Inc.; a non-profit multi-specialty physician practice, Community Medicine Associates; and is a 50 percent owner of San Antonio AirLIFE, an emergency air ambulance program covering South Texas. The Health System is South Texas’ first and only Magnet healthcare organization, a status designated by the American Nurses Association and earned only by 6 percent of U.S. hospitals. As one of the Most Wired Hospitals and Health Systems in the nation, University Health System ranks in the top 1 percent of U.S. health organizations for achieving a high level of information technology integration. In 2015, for the fifth straight year, University Hospital was named best hospital in the San Antonio region by U.S. News & World Report. 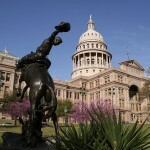 Hernández serves as a member of the “Code Red” Task Force on Access to Health Care in Texas. He serves on the board of America’s Essential Hospitals, the board of the University HealthSystem Consortium, and is past chair of both the Texas Hospital Association (2013) and Teaching Hospitals of Texas (2005-08). 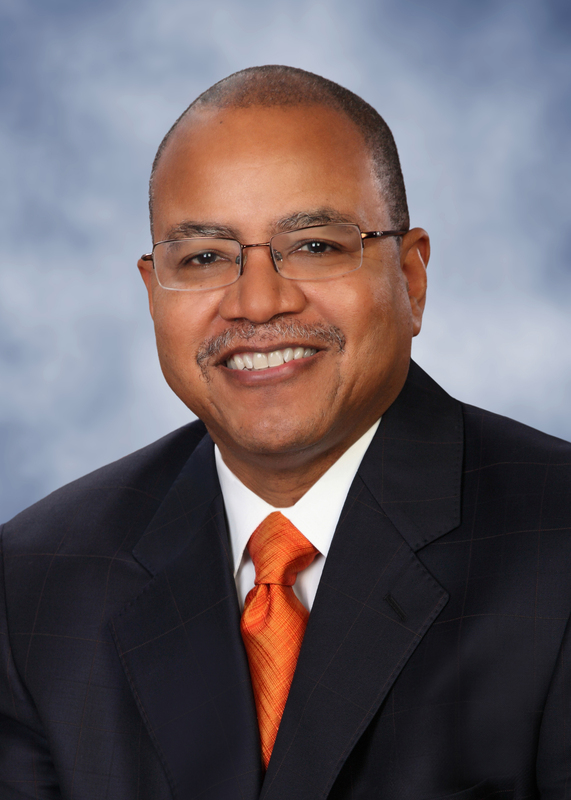 He was honored in 2009 by the Texas Council of Community MHMR Centers as the recipient of the Frank M. Adams Award for Outstanding Volunteer Service and named one of Modern Healthcare magazine’s Top 25 Minority Executives in Healthcare for 2010. 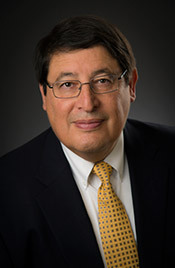 Hernandez and the Health System’s chief information officer were joint recipients of the 2008 Transformational Leadership Award from the College of Healthcare Information Management Executives and the American Hospital Association. Hernández is a native of San Antonio. He earned a bachelor’s degree from St. Mary’s University and law degree from George Washington University School of Law in Washington, D.C.
Rick Napper serves as President and Chief Executive Office of Medical Center Health System in Odessa. Mr. Napper began his healthcare career as a nurse while serving 22 years in the United States Army, later becoming Assistant Director of Quality Improvement at Ireland Army Community Hospital in Fort Knox, Kentucky. 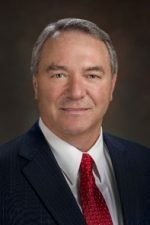 In the years that followed, he held several executive leadership positions, including President and CEO of Crittenden Health Systems in Marion, Kentucky, Norton Community Hospital in Norton, Virginia, Magnolia Regional Health Center in Corinth, Mississippi and St. Joseph Health System in Bryan, Texas. Mr. Napper earned his LPN certification from the Academy of Health Sciences in Fort Sam Houston, Texas, his Bachelor of Science with Distinction in Health Care Management from Park College in Parkville, Missouri, and his Master of Business Administration from Embry-Riddle Aeronautical University in Dayton Beach, Florida. Christann Vasquez serves as President, Seton Medical Center at the University of Texas, and President, UMC Brackenridge. 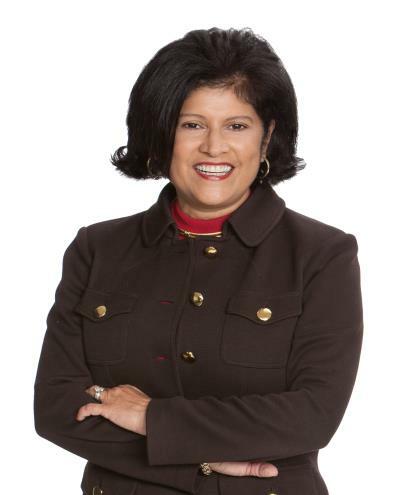 Chris comes to Seton Healthcare Family from University Health System (UHS), partner to the University of Texas Health Science Center at San Antonio, where she has served as executive vice president and chief operating officer since 2009. Her responsibilities have included overall operational and financial accountability for University Hospital, Texas Diabetes Institute, Community Medicine Associates, 16 ambulatory sites and clinics, six ExpressMed sites and all facilities and support services. She most recently led the strategic planning for and construction of a replacement for University Hospital. Throughout her tenure, Chris helped UHS chart a course of continuous improvement – enhancing quality and reducing waste – and embrace accountability and value for the consumer. Among her prior assignments, Chris is a former vice president/chief executive officer in the Memorial Hermann Healthcare System and a past chief operating and chief financial officer for Harris County Public Health and Environmental Services. She is a past ACHE chapter president, has been active in community affairs and holds a Master’s in Hospital Administration from University of Houston, Clear Lake. Raymond S. Greenberg, M.D., Ph.D.
Dr. Raymond Greenberg joined the University of Texas System as Executive Vice Chancellor for Health Affairs in September 2013. He is responsible for the six UT System health institutions and their aggregate operating budget of about $8.9 billion for 2015. Before coming to the UT System, Dr. Greenberg served for 13 years as president of the Medical University of South Carolina (MUSC) – the state’s preeminent, research-intensive academic health institutions. 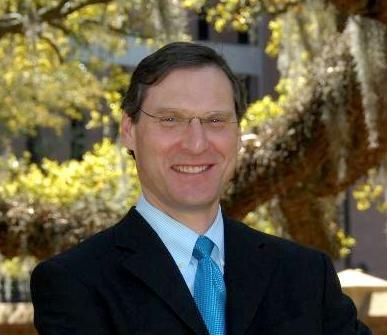 Prior to that, he served for five years as vice president for academic affairs and provost of MUSC, which is composed of six colleges and multiple hospital facilities. After receiving his undergraduate training from the University of North Carolina, Greenberg earned a medical degree from Duke University, a master’s of public health degree from Harvard University, and a doctorate in epidemiology from the University of North Carolina. Greenberg also holds honorary degrees from the College of Charleston, Simpson College and The Citadel. Following his training, Greenberg served for 12 years at Emory University, where he held several leadership positions, including chair of the medical school’s department of epidemiology and biostatistics, deputy director of the Winship Cancer Center and founding dean of the Rollins School of Public Health. Under Dr. Greenberg’s guidance, MUSC successfully competed for a National Cancer Institute-designated cancer center and a National Institutes of Health clinical and translational science award. In addition, Dr. Greenberg provided leadership in the design and construction of a variety of education, research and clinical facilities including a state-of-the-art hospital, and completed a record-breaking fund raising campaign. Nationally recognized for his research on cancer, Dr. Greenberg has served on many scientific advisory boards and holds two honorary doctorates. For the past 6 years, Dr. Greenberg has served on the Board of Directors of the Association of Academic Health Centers, most recently as Chair-Elect, and then Chair. 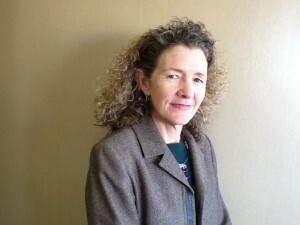 Maureen Milligan serves as CEO and President of Teaching Hospitals of Texas (THOT). Before joining THOT, Maureen served as the Director of the Texas Institute of Health Care Quality and Efficiency and Director of the Health Care Quality and Analytics, Research, Coordination and Support unit at the Texas Health and Human Services Commission. Maureen successfully led the development and CMS negotiation of the Texas Healthcare Transformation and Quality Improvement Program Waiver and has served in various roles in her 16 years with the Commission. She previously served as Deputy Chief of Staff at HHSC, Deputy Director in Medicaid CHIP, and the manager of Health Plan Operations responsible for over three billion dollars in Medicaid and CHIP managed care contracts. Her work experience has focused on state and federal health care reform, state health care policy for Medicaid and indigent care, and Medicaid operational and contract management.